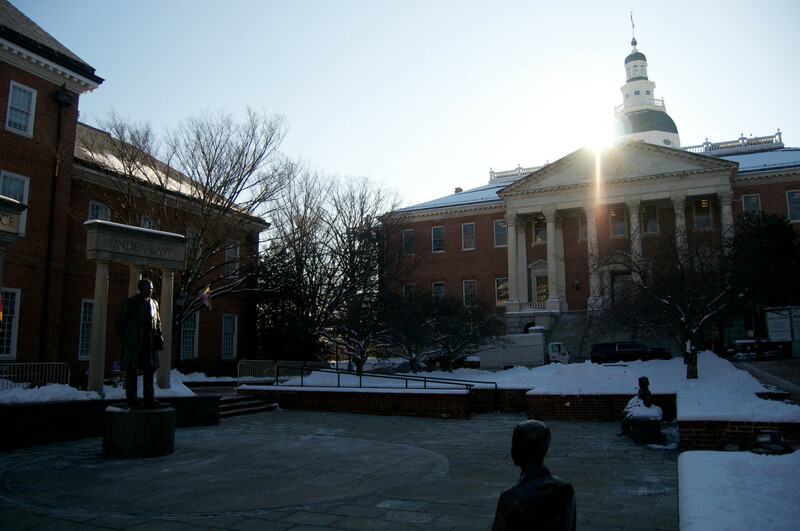 The legislature’s staff is recommending that lawmakers make another major change in pension funding, eliminating extra payments into Maryland’s underfunded pension system and returning to full actuarial funding. The proposal would save $70 million in next year’s budget and $2 billion over the next 10 years. But it would ultimately cost taxpayers $2.5 billion more than current plans for pension contributions in the following 13 years, and further delay full funding for promised pension benefits in the following decades. The move is an apparent attempt to come up with substantial savings in the state budget in the next few years to make up for cuts and slower growth in spending proposed by Gov. Larry Hogan. Democratic leaders are searching for ways to restore school aid and pay raises for state workers. The Hogan administration and the State Retirement Agency only learned of the proposal on Monday, and took no official position on it after it was presented to the Senate Budget & Taxation Committee Tuesday. Brinkley was reinforcing comments made by Republican Sen. Andrew Serafini, a financial advisor who is one of the General Assembly’s pension hawks. Serafini quoted the reports issued just last week by the three bond rating agencies. They continued to give Maryland government their best triple-A ratings while also expressing concern that the state has $19 billion in unfunded pension liabilities. Michael Rubenstein, the pension expert in the Department of Legislative Services, presented the proposal as a positive move that should please the rating agencies. They have repeatedly criticized Maryland’s failure to fully pay its actuarially required contributions. The legislature passed major changes to state and teacher pensions in 2011. Public school teachers and state employees now pay 7% of their salaries toward pensions, and will get lower benefits. The legislature voted in 2013 to phase out the “corridor” method of pension funding that had reduced payments over the previous decades. Among the many assumptions that go into formulating how much the state needs to contribute toward pensions is how long employees will live and collect pensions, and what kind of returns the state gets on the stocks, bonds and other assets the pension fund owns. The State Retirement and Pension System Board has set an annual rate of return at 7.55% over the long haul. Serafini and some market analysts believe stocks and bonds will achieve returns a half point to two points lower than that. Fitch Ratings figures that state’s future pension liabilities based on a 7% return on investment. Rubenstein said high investment returns in the last two years –10.5% and 14.3%–, the 2011 pension reforms and the 2013 change in the corridor method make it possible to fully repeal the extra payments the state promised to make when it made teachers and employees pay more into the system. “There’s no reason for the supplemental funding,” Rubenstein said.